A fifteen time All Star, Berra was named the AL Most Valuable Player in 1951, 1954, and 1955. 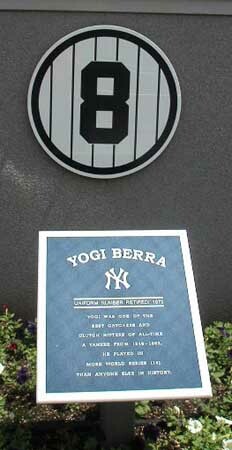 The Yankees retired his uniform number 8, jointly honoring Berra and former catcher Bill Dickey. Review of When You Come to a Fork in the Road, Take It!